Shana Freimark wasn’t a cat person. 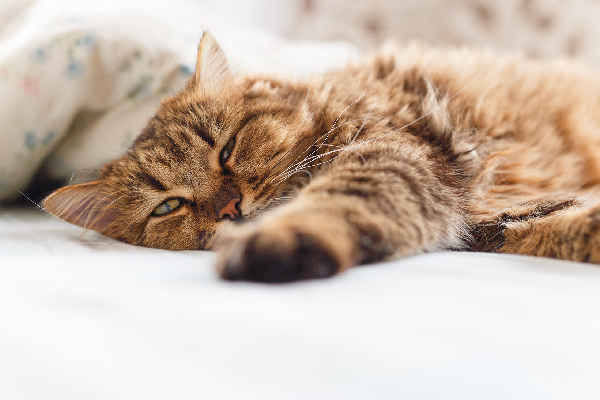 In fact, she was a dog person until one sunny September morning in 2009 when she and her boyfriend spotted a tiny black-and-white kitten stranded on the side of a freeway. They spent an hour frantically trying to catch the kitten, who finally jumped into the car, ready to be rescued. 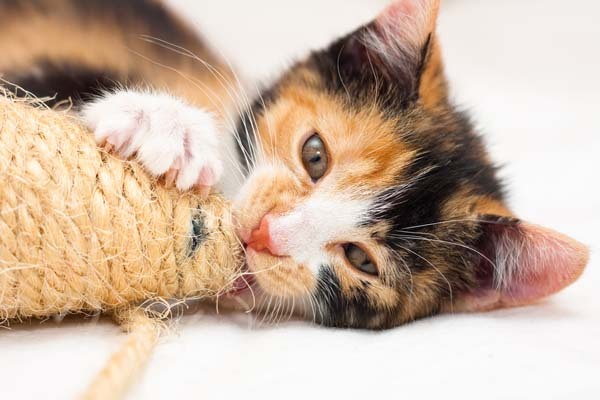 They brought the kitten to their home — which already had three large dogs — assuming it would be temporary until they found someone to adopt her. But 24 hours later, she had made herself at home on the couch with her new best friends — the dogs! So it was decided that Pickles was part of the family. Shana had a bit of an obsession with collars. She was constantly buying fancy new collars for her dogs to update their wardrobe. She was excited to buy her first cat collar for Pickles, but when she visited the pet supply stores, the selection was disappointing. She decided to make a collar for Pickles herself, but she had no idea how to sew. Shana did have a sewing machine (it was still in the box) so she set it up, found some YouTube videos, and taught herself how to sew. After several months of refining her sewing skills, experimenting with collar designs, and testing collars on Pickles, she launched the Sweet Pickles Designs Etsy shop, making her designer cat collars available for sale. Pickles, the rescue cat who inspired Sweet Pickles Designs. Photo courtesy Morgan Green-Hopkins. 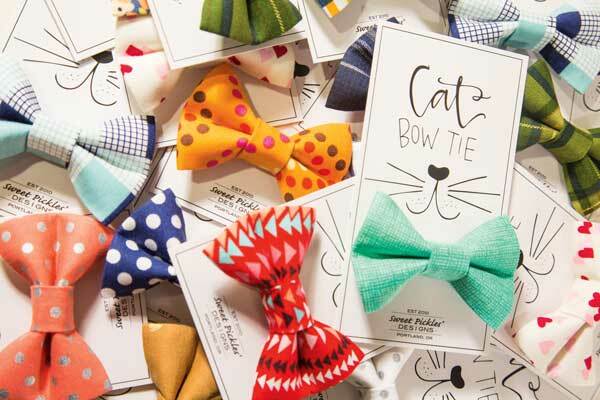 The business grew, starting with collars, then adding bow ties and eventually kitty corsages. Shana was working as a commercial real estate broker when she started the business, but by 2014 Sweet Pickles Designs became a full-time job. 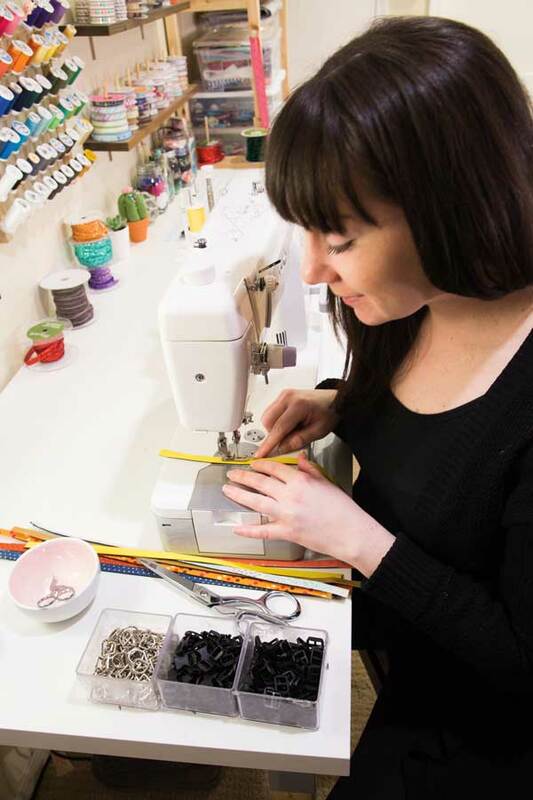 The team now includes three part-time employees, plus seamstresses and other local business partners. All products are made by Shana and her team in Portland, Oregon. Her work as a commercial real estate broker has really helped Shana with the sales and business side of Sweet Pickles. It taught her how to make the tough calls — drumming up new business or asking for payments — as well as how to maintain business relationships. When developing new products, Shana is careful to balance fashion with function, and Pickles is a big part of the process. “I am very concerned about making sure everything we make is high quality, safe, and not annoying to cats,” she said. Since Pickles is average size, somewhat rough on things, and fairly fickle, she’s a good barometer for testing products. Shana’s favorite part of running her business is seeing customer photos of cats wearing her creations. 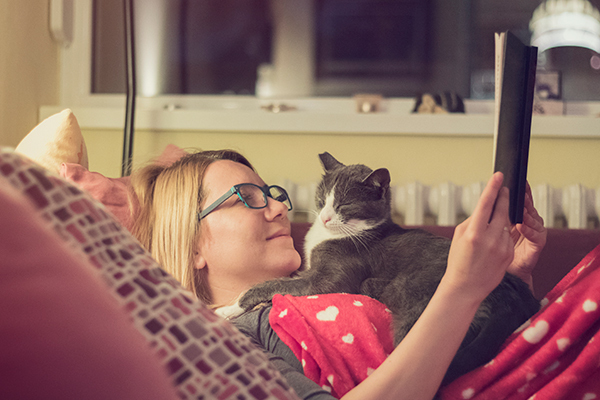 “I just love seeing our kitty customers with our products in action. There’s nothing sweeter,” she said. 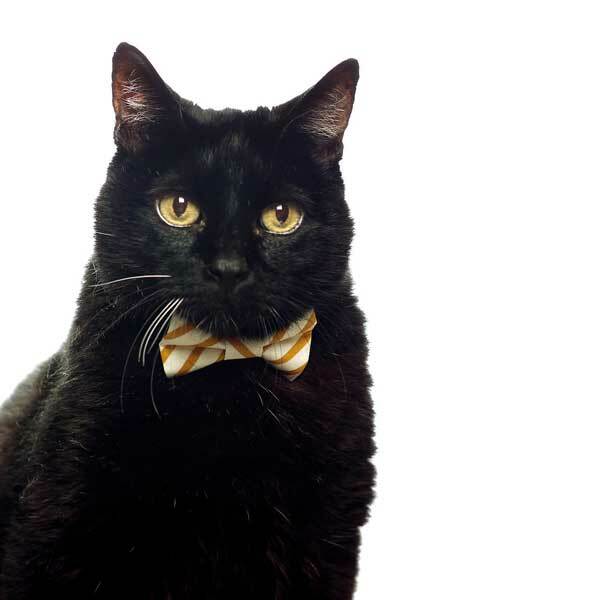 Cecil in a Sweet Pickles bow tie at the Oregon Humane Society. Photo courtesy Morgan Green-Hopkins. Several times a year, Shana and her boyfriend, Morgan Green-Hopkins, a professional photographer, head over to the Oregon Humane Society to photograph the cats who have been there the longest. 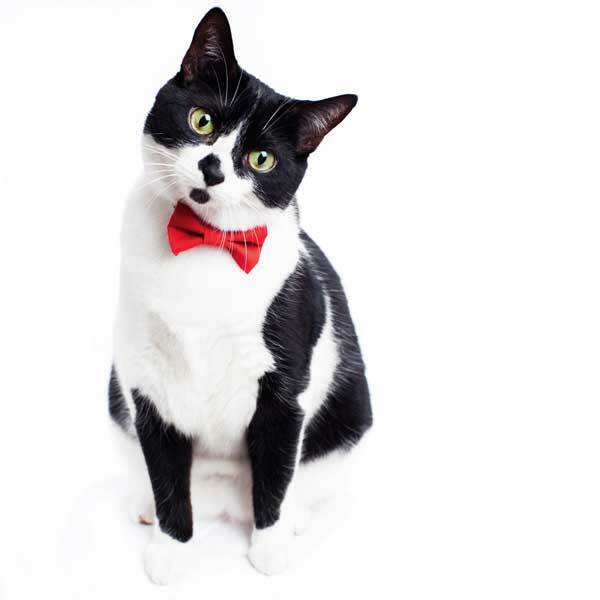 The cats each wear a collar and bowtie or corsage for the photo shoot (which they get to keep), and the professional portraits help get them adopted. 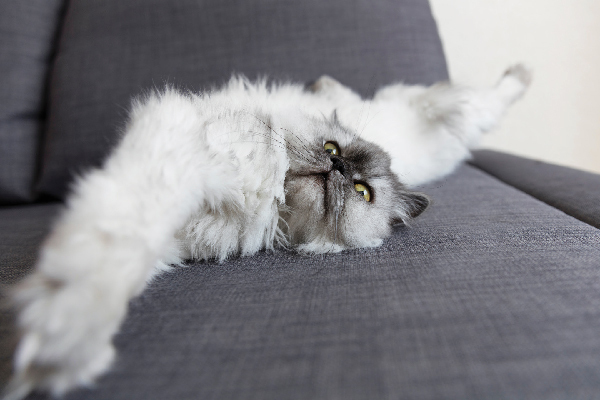 Every cat they have photographed has found a forever home. 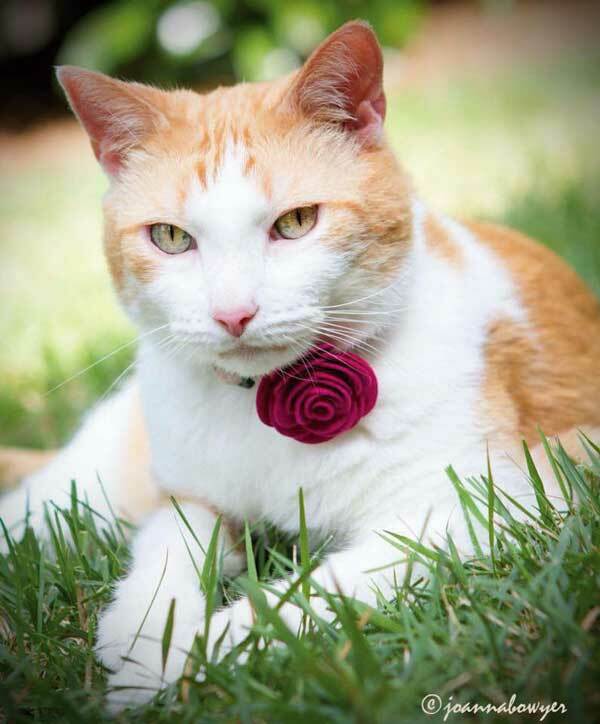 Miz Julep wears a corsage at the Oregon Humane Society. Photo courtesy Morgan Green-Hopkins. For more information, visit Sweet Pickles Designs on the company website, Facebook, Twitter, and Instagram.